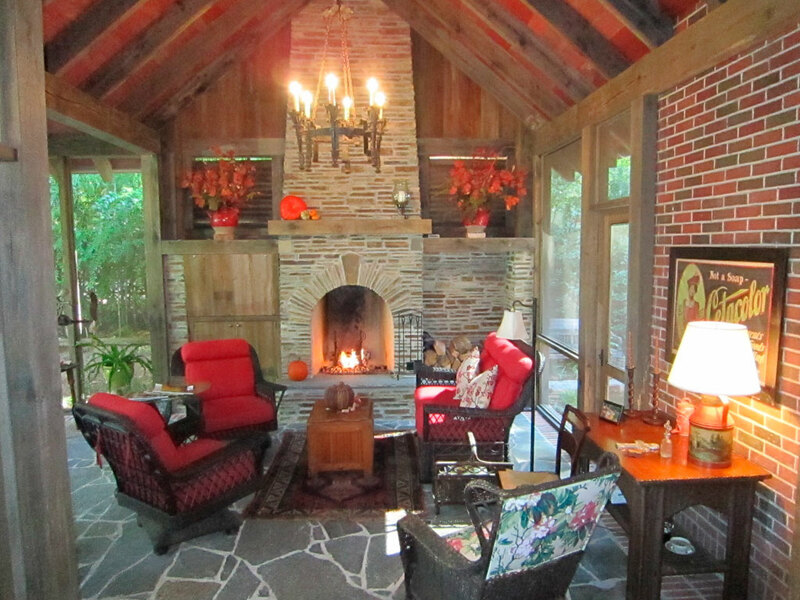 he crisp Fall air draws a southerner outside to enjoy autumn, and I would love to spend the day or evening on this beautiful porch in Atlanta. 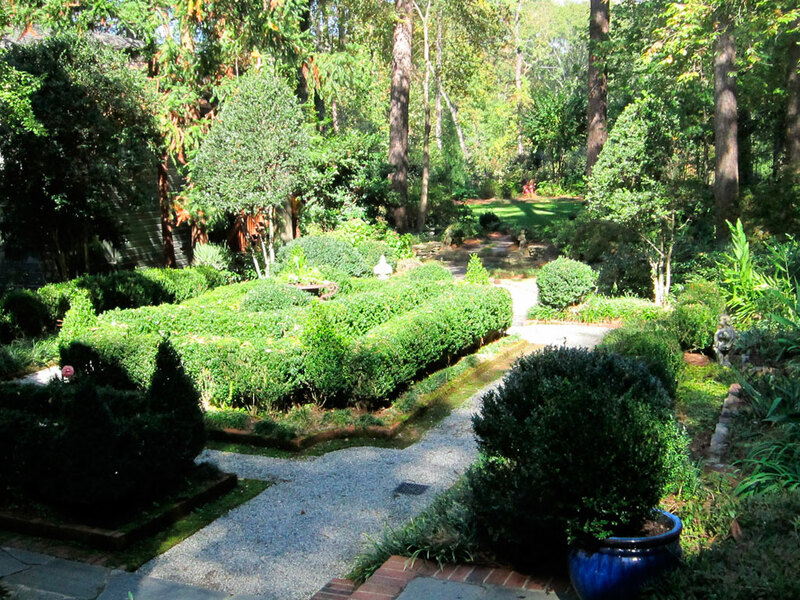 This outdoor space has room to dine or relax by the fireplace with a boxwood garden in view. 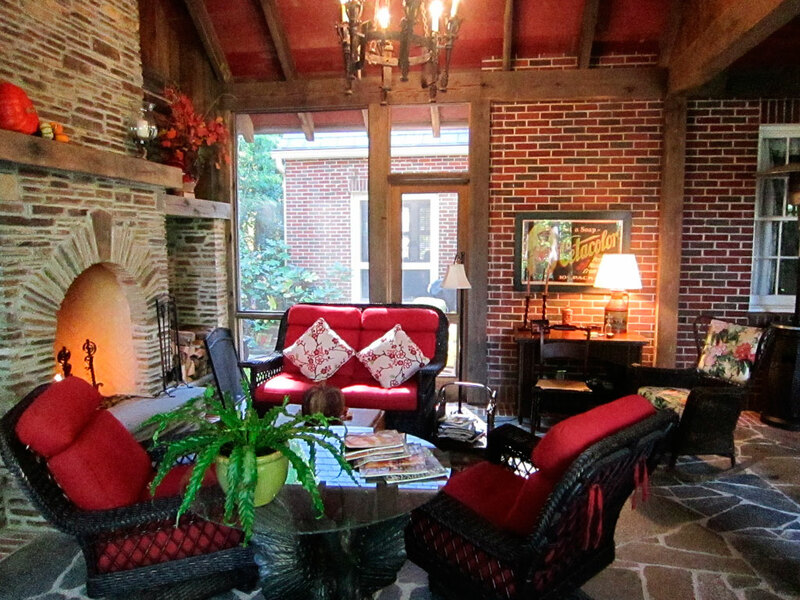 The slate floor edged with brick ties the new structure to the older brick home. 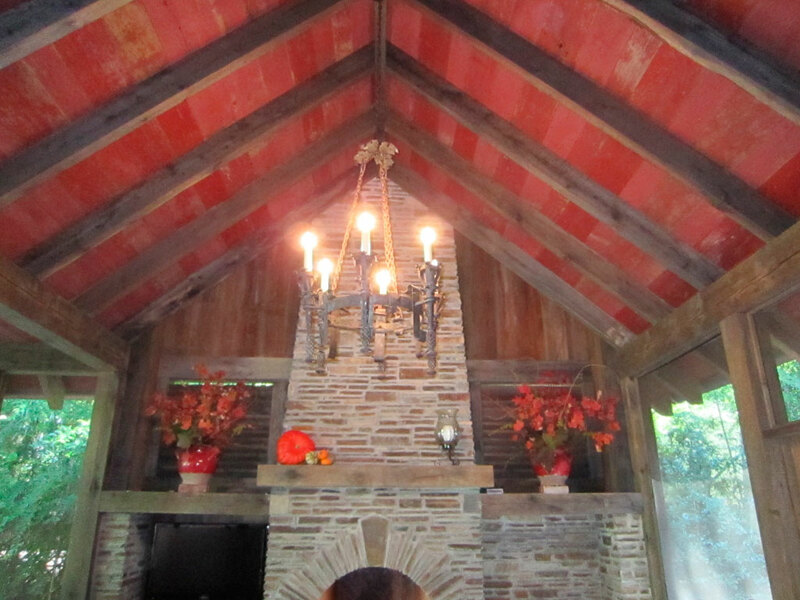 I love the old barn wood and beams used in the support structure and mantle—and especially the Red ceiling! Enjoy the view. 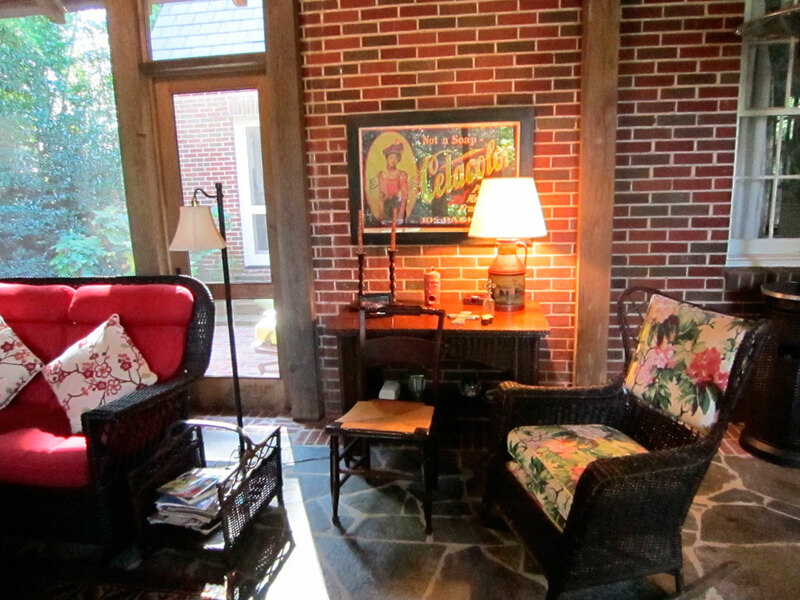 The wicker, lamps and poster art add to the Room-like feeling of this Charming porch. Garden View from the Lovely Outdoor living room—Porch! This is truly an inspirational space. Thank you for inviting all of us to your home. 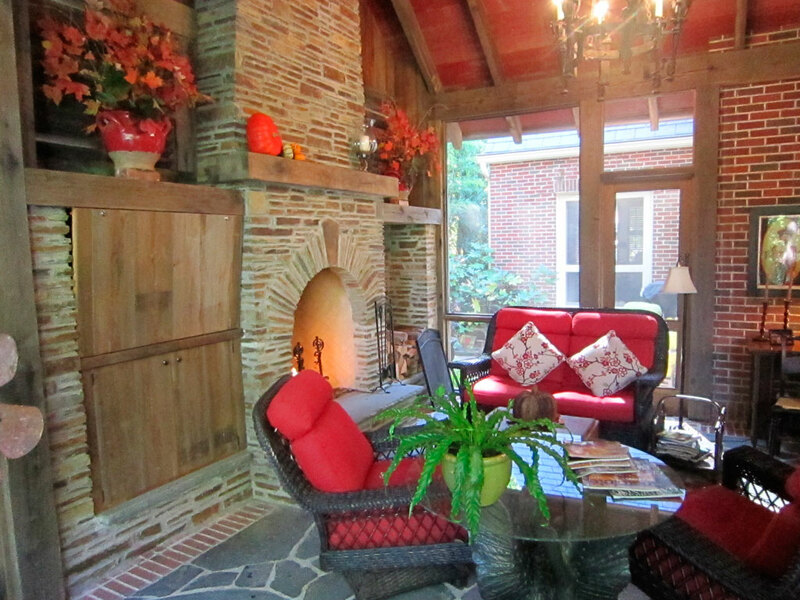 love the idea of the outdoor room..these lovely covered porches are great for extending the home outdoors…just gorgeous..
Love all of the red…unexpected!